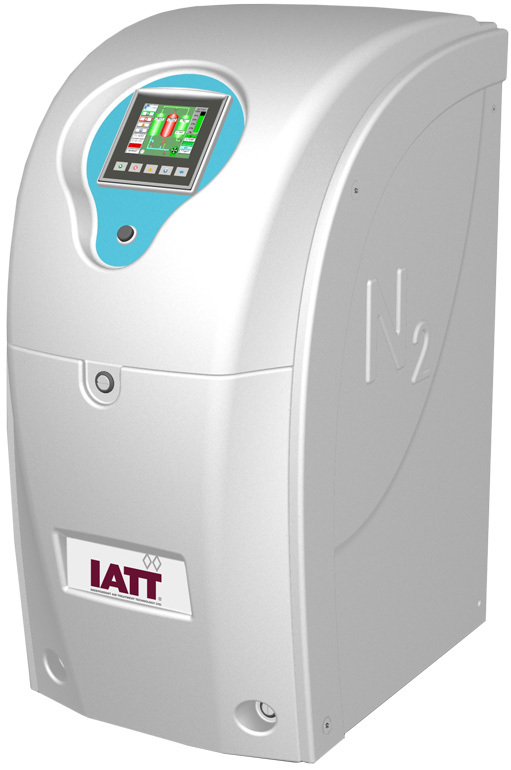 AiroGen® High Purity Nitrogen Generators from IATT produce a continuous flow of High Purity N2 using Pressure Swing Adsorption (PSA) technology. This technology uses a combination of molecular sieves to selectively eliminate O2 and other contaminants from the air supply. On line purity monitoring capability with the O2 sensor. Catalyst module capability: hydrocarbons level < 0.05 ppm. Available with or without built-in-air compressor. Quiet operation using a soundproofed compressor enclosure and anti-vibration features. Trend graph for QA reporting. Energy saving Mode: Enables the compressor to switch off when nitrogen supply is not required. Remote access to screen using Internet or GSM (Global Systems for Mobile communication).